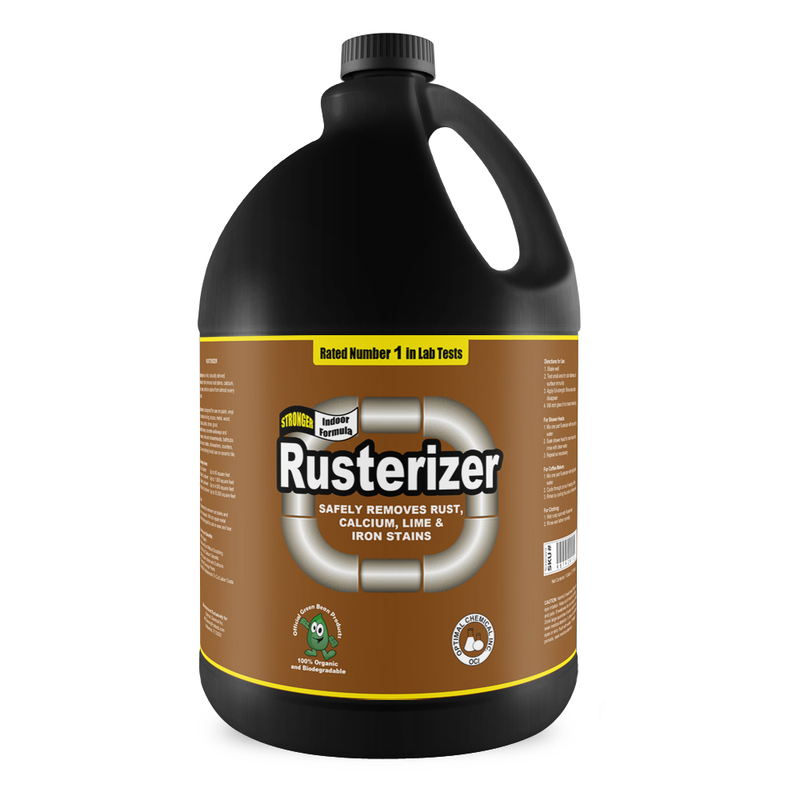 Rusterizer is a specially formulated for cleaning and maintenance professionals to cut labor costs during rust removal, calcium, and lime projects. 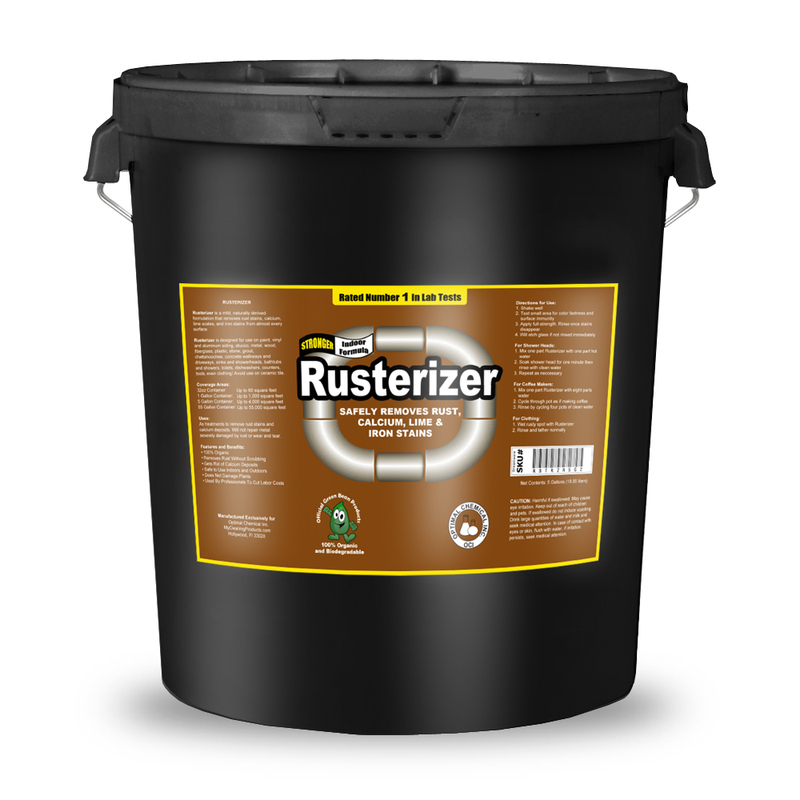 Rusterizer will quickly neutralize rust, calcium, and lime on contact without heavy scrubbing. Rusterizer is also plant-friendly and will not harm or damage plant life and vegitation. Although, we recommend washing down plant-life after using the product around the areas being sprayed. The formula will not harm vehicle paint or wiring. There are no VOCs and no solvents. The easy to use formula works in just minutes upon first application. Just spray Rusterizer, wait, and let the formula neutralize the rust stains, lime or calcium deposits. Painting contractors, cleaning professionals and other professionals have used this exact formula to reduce labor costs and increase project completion time efficiency. Due to the unique rust removing formulation, you will notice hard to get rid of rust stains complete vanish without the need of heavy scrubbing when used as per label instructions. View our real-time rust testing video below. Rusterizer has been effective on concrete walkways and driveways, non acrylic tubs/sinks, shower heads, bathtubs and showers, toilets, dishwashers and counters. Additional materials that are compatible with our formula is vinyl and aluminum siding, stucco, metal, wood, plastic and stone. Lastly, Rusterizer is also effective even on painted surfaces, stone, grout, chattahoochee and fabric-made items. Acrylic tubs / sinks, glass, fiber glass, ceramic tiles, stainless steel, galvanized metal, natural stones, marbles, ceramic tiles. Marble and Porcelain Tile are recommended to be avoided when using Rasterizer as well. As always, to be safe we recommend testing in a small area to avoid any discoloration before using the product entirely. Removing rust from cars, trucks, boats, RVs, motorcycles, ATVs, Industrial equipment, Road equipment, Lawn furniture, Tools, and Restoration of metal parts. We are so confident your rust, lime, or calcium deposit problem will be neutralized within minutes. You are entitled to our money back guarantee. If Rusterizer does not work for any reason, simply let us know by email or phone and we will happily refund your money. The official SDS(Safety Data Sheet) for Rusterizer. Will The Product Work Indoors As Well As Outdoors? 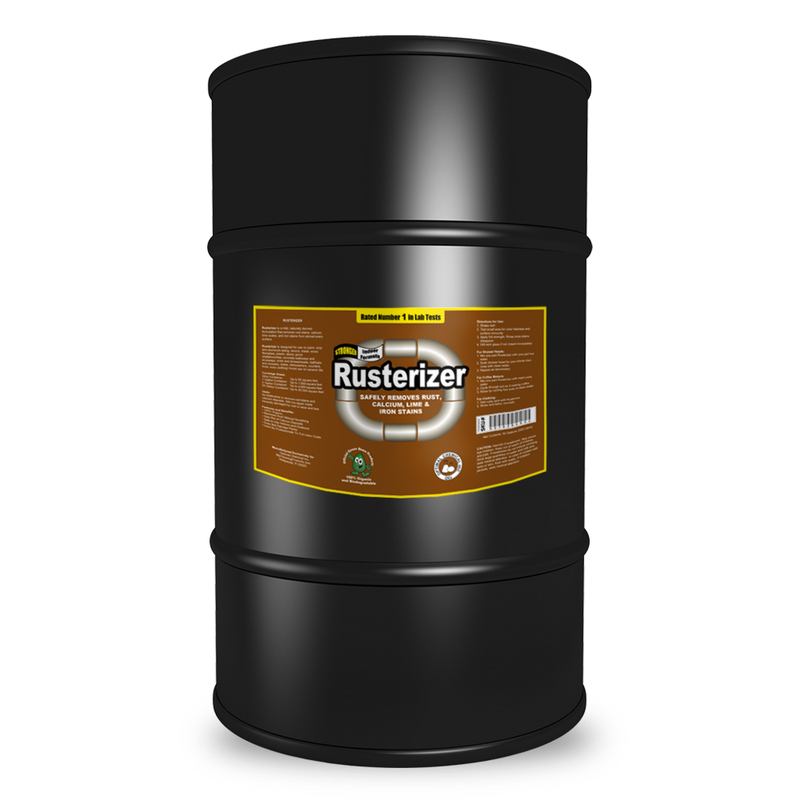 Rusterizer is recommended as an outdoor product although it will work on any surface with rust, lime, or calcium. What is Rusterizer? 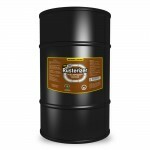 Rusterizer is a unique formulation that removes rust stains by means of a neutralizing chemical reaction. Where can I use Rusterizer? Rusterizer is safe for application on paint, metal, stucco, porcelain, fiberglass, wood, stone, grout, chattahoochee/aggregate, plastic, concrete or asphalt walks and driveways. Do not use on marble or ceramic tile… Please test a small area before applying. Is Rusterizer a threat to the environment? No. 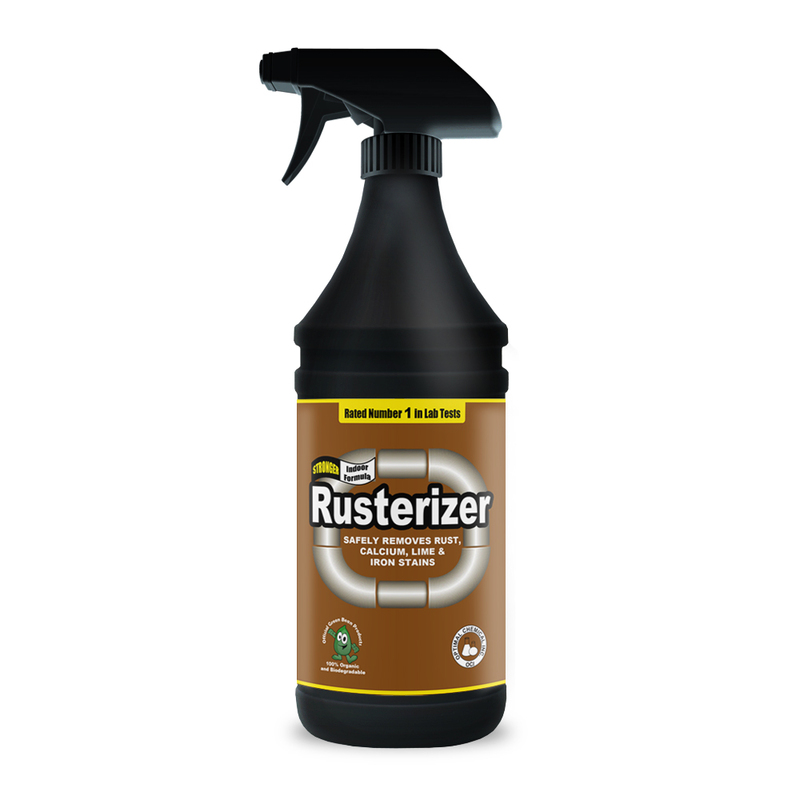 Rusterizer is formulated so it does not damage plants or grass. How do I apply Rusterizer? Use a garden sprayer, roller, hand trigger sprayer or spout dispenser on top of pint size bottle. Does the application of Rusterizer require rubbing or scrubbing? No. 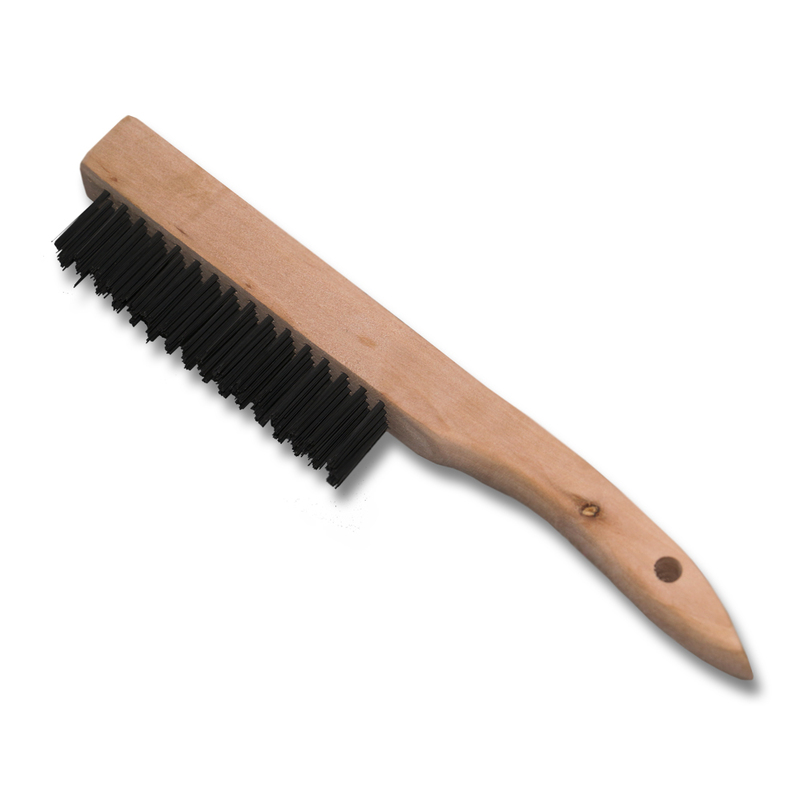 Just apply Rusterizer on the stained surface and the rust stains will simply disappear. Will Rusterizer harm my plants or grass? No, but post-application rinsing is recommended to remove over- spray. Can Rusterizer remove rust stains other than those caused by well-water supplied lawn sprinkler systems? Yes, Rusterizer will remove various caused rust-stains on a wide variety of surfaces. I think this is the most amazing cleaning product I have ever (in my 71 years) used. Instructions say spray it on, wait for stains to disappear and then rinse off. I sprayed on a brick/mortar wall with 20 year old rust stains, stood around and watched in amazement as the stains disappeared and rinsed off. End of story, end of stains! Could hardly believe my eyes. No scrubbing, just spray it on, rinse it off. I tried an alternative product (don’t know if Amazon allows naming competitive products but I am referring to a product with the words Iron and the word Out in its name) It did NOTHING. I am impressed. I just tried the product on an area of rust stained sidewalk and the rust stain is 90% gone. 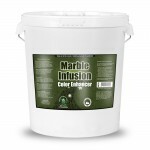 I just ordered a 5 gallon container. We use well water to sprinkle our yard and it has a very high iron content, therefore, overspray stains the cement. We do have a 30 gallon tank that we add a rust preventer, but it doesn’t really do a great job on the rust prevention. I am wondering how well Rusterizer would work and if you have any idea the ratio that I would need to use. We currently use Rid O Rust. We add about 2.5 gallons to the water tank. Our house is stone and does get overspray. Thanks! GREAT….RUSTERIZER IS THE BEST PRODUCT EVER!!!!! First off, your Rusterizer in an awesome product. Not only great for rust spots, but cleans up aluminum car rims like new. One problem I’ve always had with it though is its delivery mechanism.